Despite that, the Prophet (peace be upon him) went through extremely much hardship in his life. How can we reconcile these seemingly contrasting ideas? The life of the Prophet (peace be upon him) was difficult right from the early stages. He was born an orphan, and his mother did not live much longer. However, being an orphan, was a blessing in disguise. The effect it had on the Prophet (peace be upon him) was amazing. He became a stronger person, both spiritually and mentally, preparing him for his noble mission as a Prophet, that was soon to come. Prophet Muhammad moved in to the household of his uncle Abu Talib and starts working with trade where he meets his wife to be, the noble Khadijah. Soon it was apparent that, Allah had chosen him for a huge mission, that of Prophethood. Khadijah stood by his side, offering not only emotional support but a financial one as well to her husband and the new Muslim Community. Abu Talib was a strong protector of his nephew facing the vicious threats of the pagan Makkans. Again the death of loved ones was prevalent. He would soon lose his uncle and beloved wife Khadijah in the same year, the year of grief. Moreover, his offspring all died in his life except Fatimah. Allah has heard what your people say to you and how they reject you. He has ordered the angels of the mountains to obey whatever you tell them to do. Among other unfortunate incidents is that when the Prophet would stand to pray, his enemies would come near him and whistle and clap in order to disturb him, but the Prophet would not even once show hostility. Even, when the Prophet was praying at the Ka’bah while his enemies were watching him, one of his opponents put on his back the intestine of a slaughtered camel during his prostration. The Prophet did not react and stayed in that position. His daughter, Fatimah, rushed to take the filth off his back and cleaned him up. If a drop of my blood fell on the earth, those infidels will be destroyed by Allah. I wasn’t sent (by Allah) to curse. I was sent as a mercy. Another manifestation of his patient character is the story of the harm inflicted on him by his Jewish neighbor. It is reported that one of the Prophet’s neighbors was a Jew who hated the Prophet. Each day he would throw trash on his way. The Prophet never rebuked him. One day, the Jew did not show up. 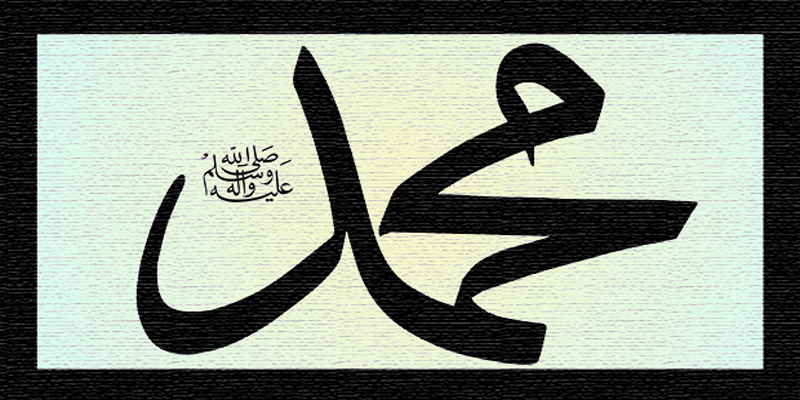 The Prophet asked about him, and was told that he was sick. So, he went to check on him and his health. Upon seeing this, the Jew embraced Islam.